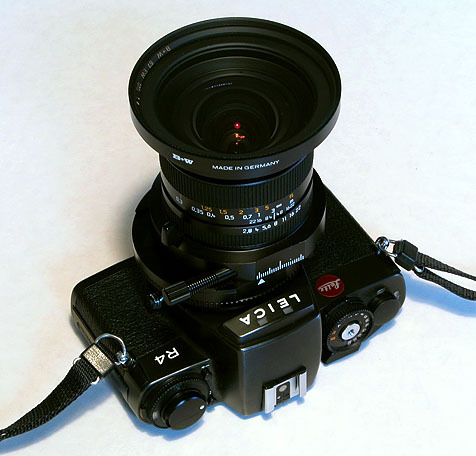 PC Super-Angulon 28mm/f2.8 has been known as a Perspective Control lense besides PA Curtagon 35mm/f4. 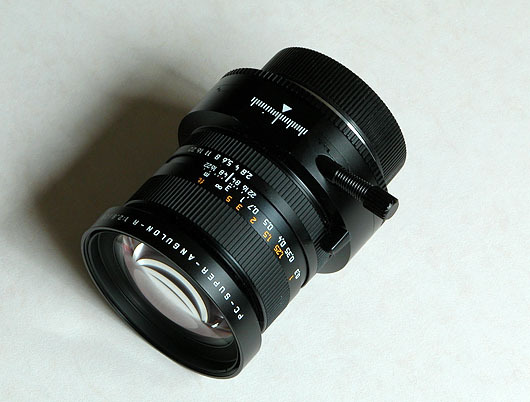 It is a special lense for those who wants to take an architectural picture. Due to its complicated method regarding shift and raise, many people keep it at a distance. Beautiful lense, it is a pity that all scripts are not engraved. They are just printed. And black anodised paint also seems to be come off easily. We found the different type of the same lense which has a green feet mark instead of yellow. Complete set, lense, hood (#12540) and a Cap. 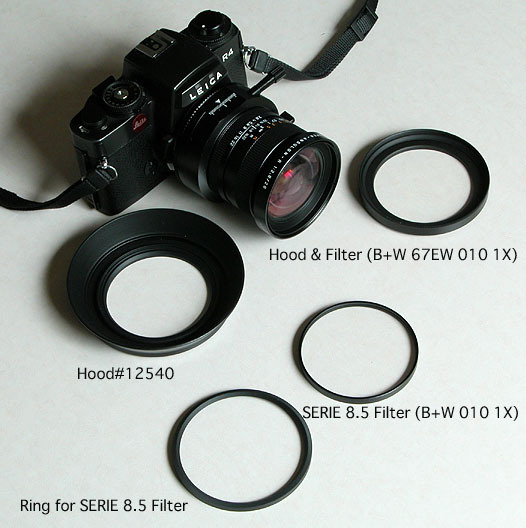 The hood has a removable ring in it and between hood and ring the SERIE 8.5 filter can be placed. Third Party, i.e., B+W, produces Hood & Filter combination (B+W 67EW 010 1X) and SERIE 8.5 filter. Shift level can be adjusted by turning coil/spring knob. 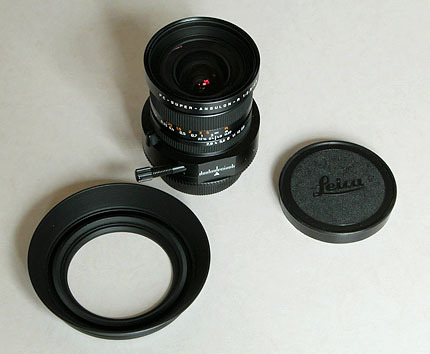 The small lever is for the change of pre-set aperture. 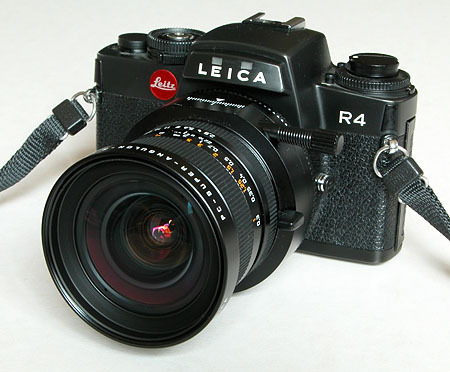 With R4, the lense provides a good combination of elegant shape of R4 and mechanical dynamics of the lense. 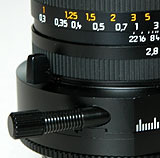 Its image circle is said to be 62mm which allows 11mm shift (horizontal and vertical) and 9.5mm (diagonal) shift, respectively. It is recommendable to stop down to f11 when the maximum (11mm) shift is achieved. This is a special purpose lense, however, turning knob and look at the silky smooth operation of dovetail machanism, gives us a enchanted moment that we shouldn't forget!